Miss 50's Gecco is the bag for anyone who wants a feminine and exclusive businessbag witha a iPad/computor compartment. 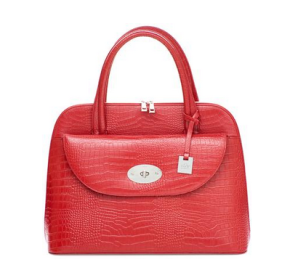 The bag's design is inspired by the 50's and give you a successful appearance. This bag has all the necessary compartments for your iPad, computer, cell phone, business cards, wallet etc. Beautiful satin lining in red.